When there comes a time for you to organize your possessions and go through all your stuff to lighten the load, renting a shed for temporary storage right outside your door is just the ticket. Whether you are planning a move, or just de-cluttering before a yard sale, a rental shed will make your life much easier than renting an off-site self storage unit. Instead of turning your house upside down and piling all the stuff you’re planning to donate, get rid of or sell into one room, you can use your secure, weather tight rental shed as a staging area for the big dump run, a donation, or even a yard sale. 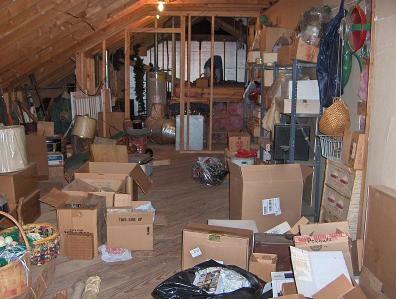 Plus removing stuff from your home as you organize, will give you an idea of what you will be left with afterwards. If you are planning on selling your home, a temporary storage shed is a great place to store your stuff for a home staging or to organize a pre-sell de-cluttering. Whether you’re moving, cleaning out the clutter or just trying to gain a little more space in your home, we’ve got the solution.